The much awaited film of the season Velayudham starring Ilayathalapathy Vijay is gearing up to hit the big-screens on 26th October for Diwali in about 820 screens. The film will also release in record number of screens in Kerala and Karnataka as Vijay enjoys a strong fan base in both the states. Besides being a commercial mass entertainer, Velayudham also spots light on social issues. Vijay will be seen romancing two hot ladies Hansika and Genelia. Velayudham is directed by Jayam Ravi and produced by Aascar Ravichandran, who informed that the film is hitting the screens as many as 40 theaters in the city. 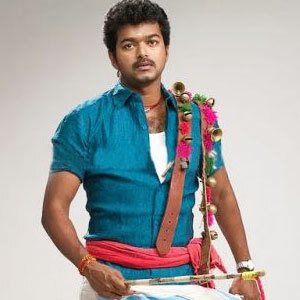 Is Velayudham audio postponed to July?